First grade students at my school have been awaiting the sequel to the first Lady Pancake and Sir French Toast book since they skyped with author Josh Funk in the fall. Last week was a vacation week, so I haven't gotten to share the book with them yet, but I am sure they will like The Case of the Stinky Stench just as much, if not more, than the first. Similar to the first book, the setting is a refrigerator stocked with food. Lady Pancake, Sir French Toast, and Inspector Croissant journey through the depths of the fridge, which includes places such as Salsa Ravine and Corn Chowder Lake, searching for the source of a horrible odor. As they work to solve the mystery, the sleuthing food items show teamwork and persistence. Young readers will probably want to read this again and again since the detailed illustrations are fun, as is the rhyme and vocabulary. Niko is inpsired by the world around him so he draws things like the warmth of the sun and the hard work of a mother robin as she builds a nest. Because no one understands his drawings, he hangs them up where no one can see them. When a girl moves next door, Niko takes a chance and draws a picture to share with her. This is a story of friendship, but also one that shows the power of creativity and art. Amanda discovers that she has bug-like superhero powers. The town of Oyster Cove, where she lives has been invaded and her mother and her mother's friend have been captured. 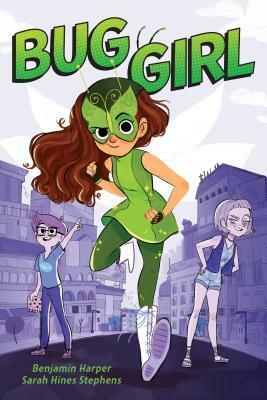 Amanda must use her powers to rescue them, but she also has to work alongside a schoolmate who she doesn't get along with. This book is filled with action and excitement and will be appreciated by those readers who like stories about heroes and evil villains. 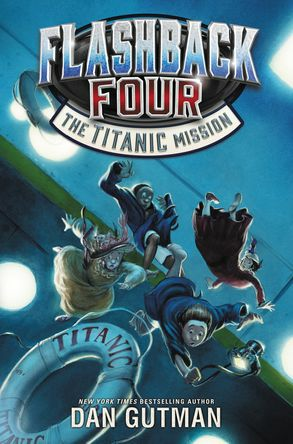 Luke, Isabel, David, and Julia are time-traveling so they can get a picture of the sinking of the Titanic to bring back to Miss Z, a billionaire who has developed the device to send them through time. The four kids find themselves trying to survive as they become a part of this historical event and in the fade of difficulties with the time-traveling device that will get them back to the present. Historical facts about the time period and the sinking of the Titanic are woven into this imaginary tale. I think this will be a popular read with my students since they are intrigued by the true story of the Titanic. Jake faked his way into the Music and Art Academy, but he must show he has a talent. Jake struggle with fitting in at his new school and being in the shadow of his near perfect sister. 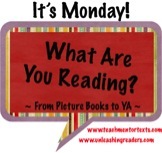 There is a lot of humor in the story and will appeal to those who enjoy the Diary of a Wimpy Kid series. I loved the ending in which Jake finds his true self. There are many illustrations in the book, which will make it attractive to some of my more reluctant readers. I meant to grab a copy of Josh Funk's new book at the New England Society of Children's Book Writers and Illustrators conference this weekend but they sold out! These other titles are new to me. I will definitely add them to my TBR list. Glad you got some new titles to add to your list! I'm really looking forward to reading The Stinky Stench, and know your first graders will love it as you said, Lisa. Like the comment above, the others are new to me, and sound good. Will look especially for Niko Draws A Feeling! Thanks! I think Niko has a theme in some ways similar to Reynold's Happy Dreamer. I got Jake the Fake but haven't gotten to it yet. I bought it exactly for those students you mentioned! There is something about Josh Funk's rhymes - he is so talented! I love that books like Jake the Fake exist. They really help to get some kids reading. Jake the Fake will definitely be popular. Bug Girl seemed a little off to me, though. Loved the illustrations and color, but there was a lot of meanness. Jake the Fake is humorous, but I think there is a good message, too. You're right about Josh! The kids fell in love w/him when they Skype. 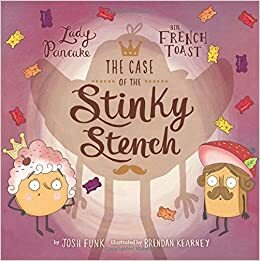 Is The Case of the Stinky Stench as much fun to read out loud as Lady Pancake and Sir French Toast? It was as much fun to read to primary students as it was from them to listen. A first grader chose to have his fourth grade buddy read it to him today. So cute! Definitely a fun read aloud! We loved Lady Pancake and Sir French Toast, so I'm really looking forward to reading Josh Funk's follow-up. I love when the follow- up book equals or exceeds the one before it. Too often I'm disappointed w/sequel, but this was one was great! 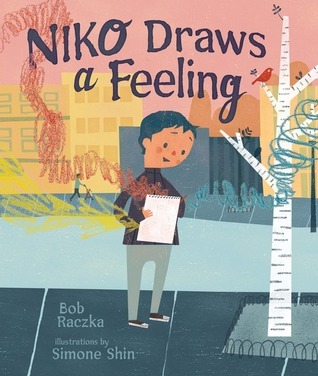 Niko Draws A Feeling is one that caught my eye - unfortunately we still don't have it in our libraries. Boo.